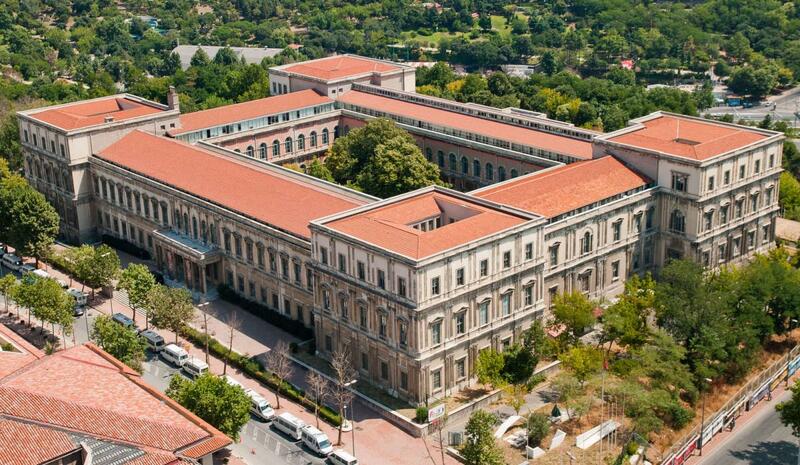 This immense building has been constructed all in structural masonry between 1848 and 1853 as a military medicine academy for the Ottoman Army under the rule of Sultan Abdülmecid. However during construction, the plans drawn by W. James Smith were modified and the building’s function was changed to the military barracks in 1849. This modification was part of a construction plan that included several arsenals and military barracks that were to ensure the safety of the imperial domain around the Dolmabahçe Palace. The building sustained some damage in the earthquake of 10 July 1894, and was restored by architect Raimondo D’Aronco. In 1909, the rebellious troops were based in the building, thus it has become the scene of long fighting. Some results are visible in the façade, as few of the gun shells are still embedded in the stone columns of the entrance. In 1944 the building was handed over to the I.T.U. and restored by architects Paul Bonatz and Emin Onat. 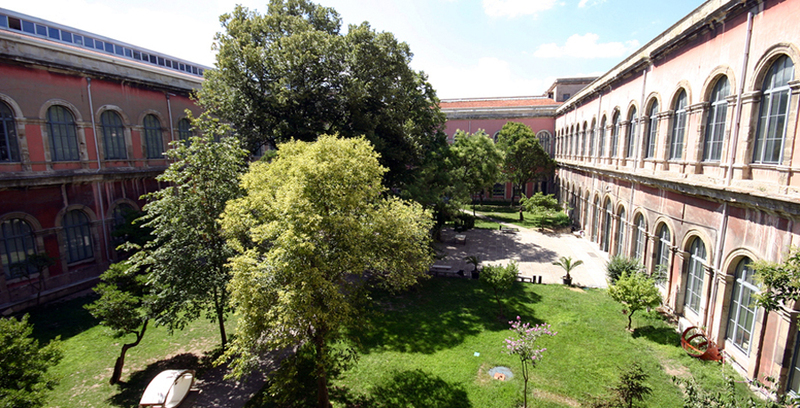 Teaching started in the building in 1950, with the civil engineering and architecture faculties. In 1983 it has been classified as a first degree historical monument. In 1996 the World Habitat Congress was organized partly in the Faculty. Ever since, it is a natural part of the congress valley of Istanbul. The plan scheme of Taskisla is classical: four equal sides marked with four corner edifices and a vast courtyard.